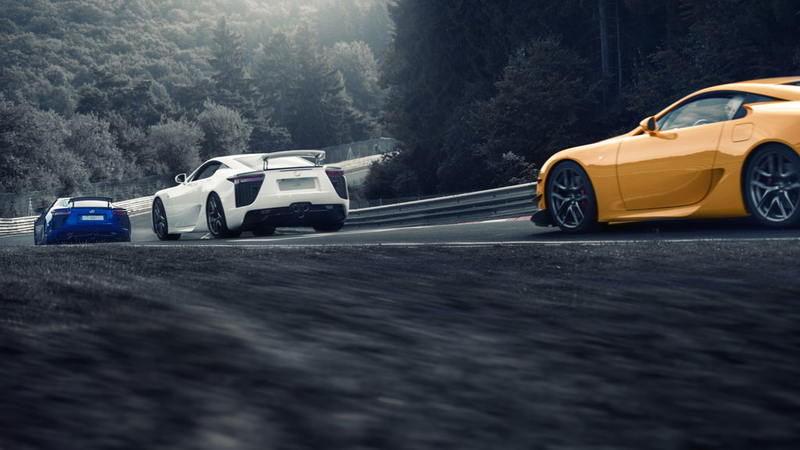 Craig Zinn of Florida, USA and Aberhard Jung from Switzerland joined with fellow enthusiasts of other illustrious car marques to experience the thrill of high-speed driving at the world-famous Nordschleife circuit. An entertaining man with an infectious laugh and a hundred stories, [Lexus dealer Craig] Zinn is also the proud owner of a Toyota GT 2000, the sports car that stunned the market in the late 1960’s. He believes it’s the LFA’s true forefather, as the Lexus supercar shares both its sporting spirit and its impact on the automotive world at release. 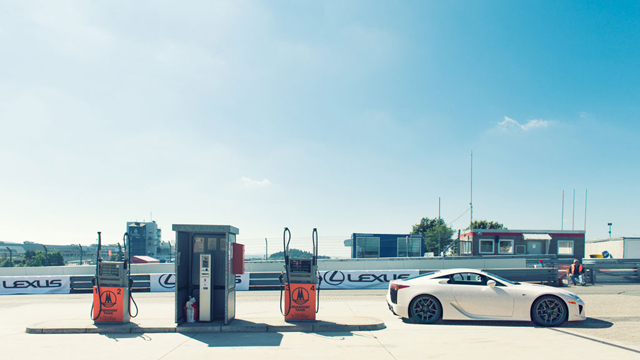 The photo quality is astounding — be sure to check out the full story, along with the rest of the photo gallery, over at the Lexus International website. Lexus Cohen: I love that car so much! Ayo DocMkize: Just amazing to see fans/owners having fun at the infamous ring. RAL: Just to hear that engine sing . . . music! MD: The greatest exotic supercar of our times.